We recently had a debate on a birding group I belong to. My friends had been to x location, and found some birds’ nests. They neither told us that they had gone there, nor did they disclose the location of the nests. If they put up the location publicly, others may come and destroy the nest. If they reveal the location to one person, that person may tell another, and the knowledge will spread. So it is better to tell no one at all. Recently, I took a group of people to the location, without knowing that the other friends had gone there. We spotted the same nests. I posted the photo on my FB page. I got a lot of criticism for this. Just giving the name of the location as I did (it’s a fairly large area) will not enable anyone to get the exact location of the nest. 1b. 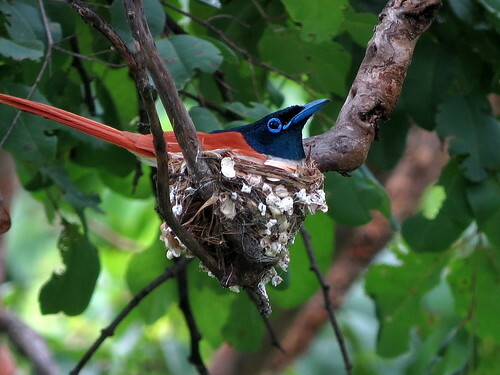 Nests are delicate things, and they get destroyed by the vagaries of nature. So birders/photographers are not the only agents of destruction. 1c. Why should I assume that every birder except me is out to destroy the nest? Why should I have this feeling of suspicion about everyone? I was told that my photo had 50 likes, so the chances of someone going there and destroying the nest were much higher. Let’s say I did have 50 “likes”. Of these, many will be from outside the city, or the country. Some more may not even be able to go, but will enjoy a sight that they cannot see for themselves. So, my estimate is that of the 50, maybe 3 or 4 might like to go to the same location (in which case, refer to 1. above). 1d. In any case, x is a place which is a known birding spot. Birding volunteers take large groups of people there regularly. There’s also a public thoroughfare. So what am I hiding, and how will I be able to hide it, if it’s being seen by all kinds of people who pass by? Withholding information, in my opinion, is not the right way to conserve something. No matter how it is hidden or suppressed, information always leaks out. All that happens is that the information “goes underground”, so to speak (or not to speak! ), being whispered from person to privileged person. In this case, knowledge becomes an instrument of power. “I know this, and I will tell only those whom I want to” is definitely a statement of power, including some, and excluding others. It’s this kind of secrecy which, to my mind, was the cause of the decline of many cultures and languages. When something belongs only to the elite, and free circulation is closed off, that thing starts stagnating and dies. Making Sanskrit esoteric, and the language of the elite alone, was what, I think, contributed to its death. If I share information with someone, I can go with that person to x place, and make sure that person confirms to the norms of ethical birding, or at least tell that person that they must observe certain restrictions. When we learn because of others sharing information with us, it’s our duty to pass on that information to others. Information cannot be a one-way street. I do use my discretion in publishing locations. I do not,however, believe in blanket bans. 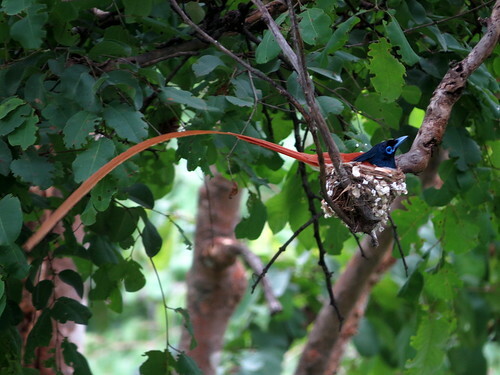 Nesting is part of bird life, and if newbies can see them and learn, that should certainly be a good thing. 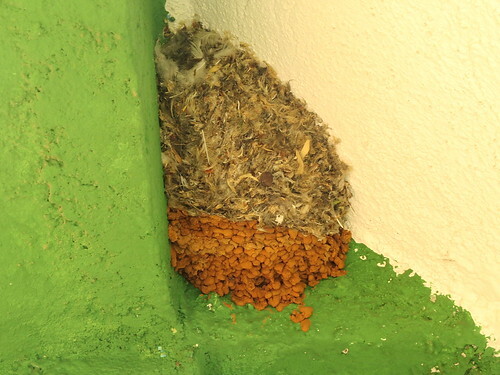 I have not, in ten years of birding, known a single documented instance of a bird’s nest being destroyed because of information given out about it. A very old instance of habitat destruction is cited endlessly as a reason for withholding information from everyone. I want to know of a known example of such nest destruction…I have not heard of any. No one is able to give me any examples. 8b. If the conservation experts are so keen on not having the bird nests disturbed, why do they go there? Surely it would be better to avoid going there? How is it OK for only some people to go there, and not others? In my opinion, if concerned birders go regularly to a location, they can ensure that unethical photographers do not harm the nest. This is certainly true of places like the one at which our critically endangered Long-billed Vultures nest. 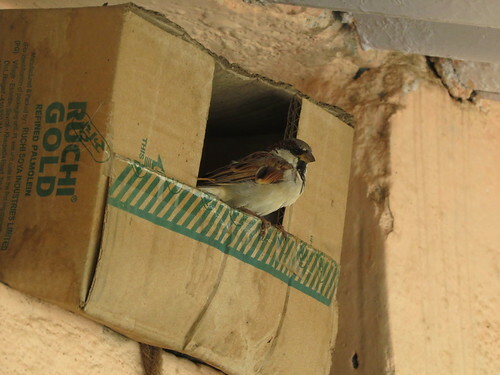 If I stop going to a location, I do not know how it is faring in terms of nest conservation. How can we conserve if we do not visit the place we wish to conserve? I actually do feel guilty that I might have had my share in the spoiling of this venue, by avoiding it. In addition, people who have never led large groups give advice on how to do it. They advocate people breaking up into small groups. This, after being part of large groups that I have led! There is one kind of birding in urban and semi-urban areas, and there’s a different kind in the open forest. In the former, separating into smaller groups is fine (though even there, I’ve noticed that more eyes mean more bird sightings.) In the latter, the correct thing to do is NOT to stray away from the group. I know (personally) of three instances in which members of a group got lost and were rescued only by sheer good luck, and others where fatalities have occurred as the result of small groups wandering off and meeting aggressive elephants. How do people become experts so fast? The person who talks about how to go birding once was thinking about hiring boats to get closer to water birds on a lake. How could this not disturb them? A culture of opacity gives one a great feeling of satisfaction that one is doing something actively to conserve a location or nest. But it takes a whilee to realize that it does not achieve this end, and actually results in the perpetuation of bad practices. 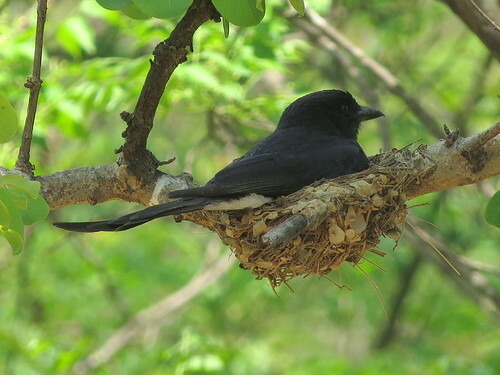 I feel that the nest is likely to be seen easily by anybody, but not likely to be disturbed by visitors. I am taken to visit a location or a nest by someone who does not want to disclose its location.I will respect that person’s wishes. 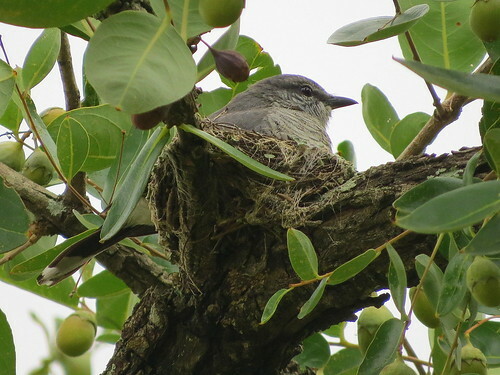 After 10 years of birding, I do not agree that a blanket ban on all nesting photography does anything constructive for the conservation of the nests. I realize that there will be opinions across the spectrum on this sensitive issue, and the debate might go on for ever. Everyone is worried about conserving what they love, and I am willing to respect opinions different from my own. But…after the debate was closed, I got a fairly sarcastic and pointed remark which was quite hurtful. What hurts the conversation between differing viewpoints is sarcasm and disrespect. When the decencies of debate are maintained, it remains a debate. When sarcasm and innuendo are used, it degenerates from a healthy debate to a personal attack.